What is the details of our 304 316L High Quality Stainless Steel Seamless Pipes? Tolerance Acording to the Standard. 2. 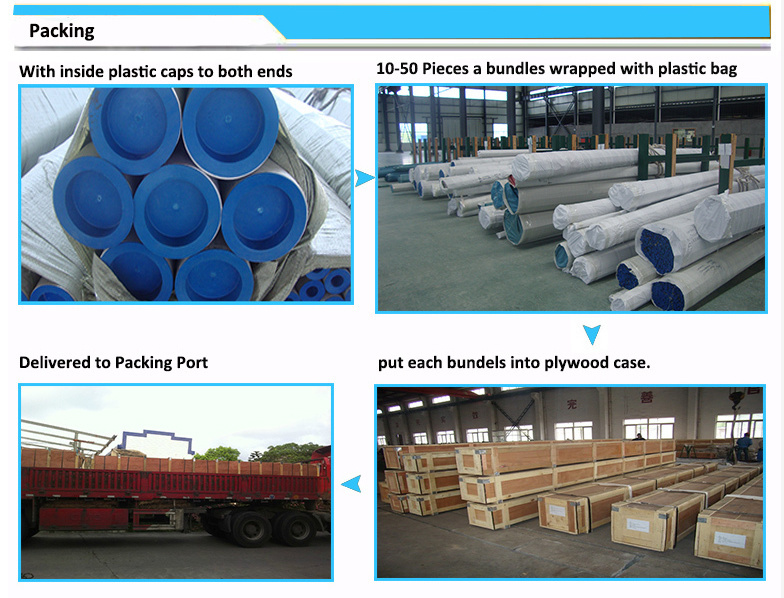 Goods delivered by 20″ , 40″ FCL/LCL by quantity or as customer’s request. 4. Delivery Time: 10-30days after conformed or according to quantity. 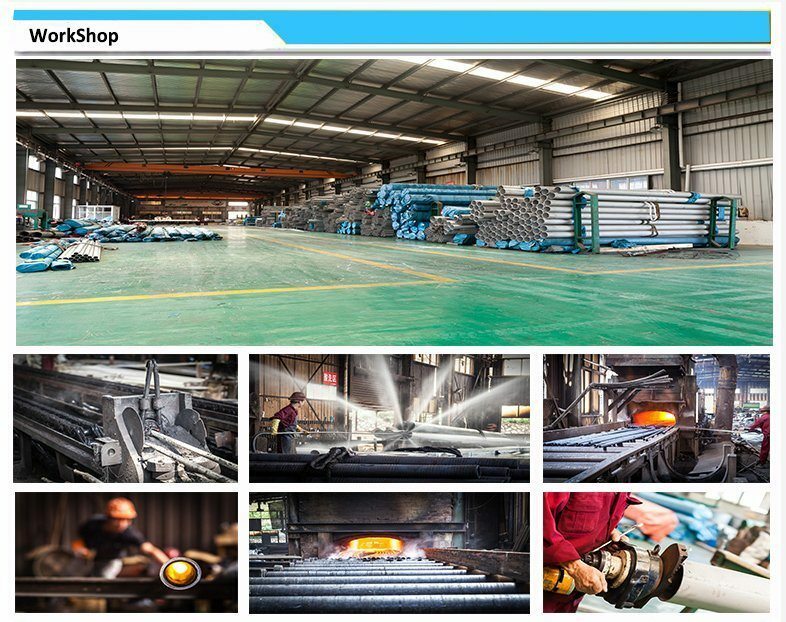 Tongda Gnaglian Steel Trade Co.,Ltd. is one of the leading manufacturer and exporter for the Stainless Steel Seamless Pipes & Tubes from Tianjin, China. Based on our Stainless Steel seamless pipe factory, We supply the ONE-STOP service fittings,flanges, valves etc to our customers home and abroad. We manufacture strictly as per the standard, We have mechanical properties test machine, supersonic testing machine, eddying current test machine, hydrostatic test machine, and spectrum analyzer for chemical composition.etc equipment to insure manufacturing processes and inspection and final quality guarantee. 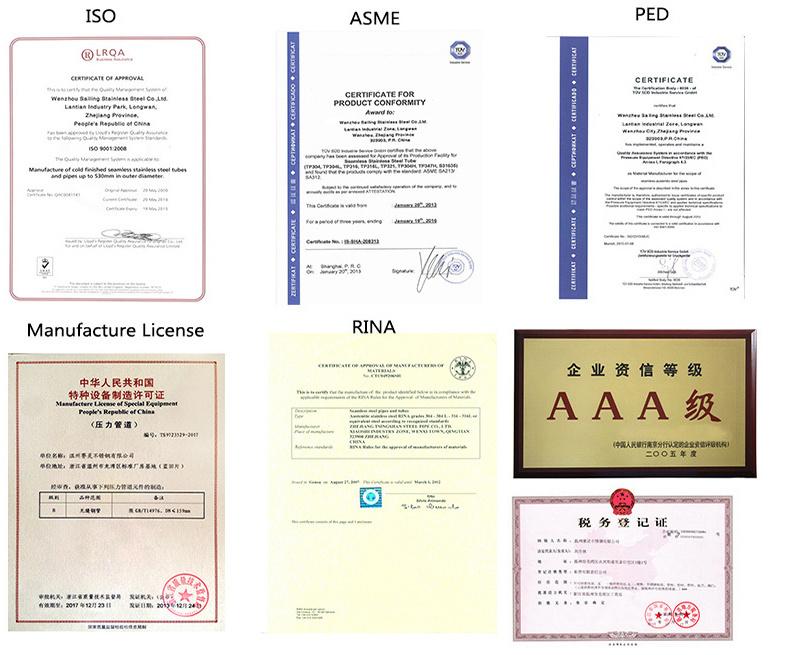 We welcome customers themselves and/or their appointed third party inspection such as SGS,BV,MOODY, LIoyd’s,TUV,DNV Etc well-known third party to conduct the inspection to our company and our products. Q What is our product range? Q What is our advantages? A 1.SAILING has more than 10 years experience in this industry. 4.Third party inspection such as TUV,BVmLloyd’s,SGS.